VietNamNet Bridge - As Vietnam develops more coal-fired thermal power plants, the volume of slag and ash they discharge has increased rapidly. The volume of slag and ash treated to make building materials remains very modest. According to the Ministry of Industry & Trade (MOIT), about 12.2 million tons of slag and ash is produced by coal-fired power plants each year, of which 60 percent is from the north, 21 percent from the central region, and 19 percent from the south. Only 4 million tons of slag and ash, or 30 percent, was consumed in 2017, including 3.25 million tons in the north. According to Nguyen Van Ky, deputy director of the Dong Trieu Thermopower Company, the slag & ash from Mao Khe coal-fired power plant doesn’t contain hazardous elements. It can be used to make unburned building materials and as an additive in cement manufacturing. However, to date, only 17 percent of the slag and ash of the plant has been consumed, while the remaining is put on the plant’s slag ground. Meanwhile, a representative of Vinh Tan Thermopower Company said the biggest consumers of slag and ash are mostly in HCMC and neighboring areas, so it is unfeasible to transport slag and ash for long distance as it increases the production cost. Of the reasons cited to explain why only a modest of slag and ash is consumed, MOIT put emphasis on the lack of a legal framework and policies to stimulate consumption. This was attributed to low demand as traditional building materials are still favored, especially in the central and southern regions. The owners of construction works and real estate developers don’t want to use unburned bricks because the products are more expensive than popular bricks. 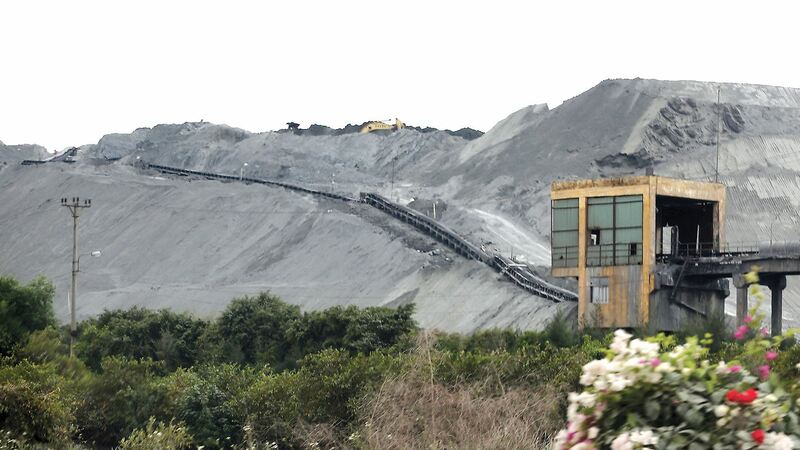 It is estimated that if the slag and ash can be treated well, Vietnam will be able to save tens of millions of minerals, while hundreds of hectares of land will be liberalized as coal-fired plants will no longer need the area for slash grounds. More importantly, Vietnam will be able to settle the problem of pollution caused by solid waste from coal-fired power plants. However, enterprises have been requested to cooperate with each other to settle the problem while waiting for new policies. Vu Thanh Tuyen of Thanh Tuyen Group said the company has set up an unburned brick manufacturing factory using the slag and ash from Mao Khe Plant to facilitate the operation of the Dong Trieu Thermopower Company, a subsidiary of Vinacomin. In exchange, Vinacomin agreed to sell slag and ash to Thanh Tuyen at preferential prices to help Thanh Tuyen’s products become more competitive.